With much more sensors being invented and used in the world, we began to listen, measure and know things which we ignored. More traceability, more sensory analysis, there will go in agribusiness with one of the challenges from the 7, of significant importance and predominance: THE AVATAR’s KINGDOM. A generation of customers and consumers become more sensitive and sensitized by the information for the sustainability on all levels. The Coca Cola Company has examined the lots of orange juice, that takes to process your refrigerants, and residues of Carbendazin are detected, for example. This defensive is used to control black spot in orange. The orange becomes not esthetic, but the healthful aspect goes to count. And if there is anything that Coca Cola, and all processors and retail networks of the world, do not want is to have trouble with complaints and health risks of their customers. Therefore, the discussion is established, the technicians will discuss, if 30 parts per billion in orange, is harmful or not, and why that Japan accept 3,000, and Europe 200 parts per billion, and what to do with The United States that rule is zero or 10, which is practically zero? An increased challenge is exactly that of the sensors and the expansion of sensibility and very low thresholds to the question of human and the planet health. The second challenge is about the agricultural lands. The world must double food supplies and renewable energy. FAO’s data show that 70% of this increase will come from the technology, 10% of the intensity of agricultural cycles in the same area and the remaining 20%, Yeah these – from new agricultural areas. It means, the land became too worth gold. The expansion of new frontiers has been limited and the relation of ownership of agricultural lands has different story, one of the most valuated active in the world over the last 5 years. Brazil is beside the Sudan in Africa, are the two biggest reserves on the planet, in this regard. The third challenge is the population: people. The population grows in proportion to of 4 new births per second. We will be 9 billion, we already are 7 billion. And this new habitant is fully connected and interconnected. The Internet expands the situational ethics of the past, and in addition to cellular phones connection, computers, televisions, it is coming now the new Internet of things. It mean, in the shower, microwave, on the stove, on the car, etc. The fourth challenge is not only food production, which should double, but their quality. The raw materials produced from the field begin to be more import perceived in the analysis of the marks of processors and distributors of food, fiber, energy, protein and other derivatives of agribusiness. Food and energy, their production, distribution and perception of the interconnected markets become a new challenge for the management of the entire value chain, from the first, passing through the inside and by post farms gate. The fifth challenge, the innovation, the adoption and the management of technology and its life cycle. The problem is not count with an advanced technology, is that we need to have over than one. This diversity technology advances will require of the farms, industry, chemistry, mechanics, genetics, and processors a level of “on-line” dialog. The academic area, school and public research cannot resist to the absence of speed as well as agribusiness governance will be more based on the sectorial advice. In the technology, the stock of local germoplasms will be a factor of risk management and the environmental security, political and national interest. The 6th challenge is the question: Who will be the farmer in 2022? In the next 10 years, who will be, as will be, how many will exist? Which segments, the clusters? Which the human competences of this new situation of producers for the next 10 years? The present became the result of the future. What we have now, which signals that we captured in this moment that show the journey and the window for tomorrow. Anticipating the movements is a key challenge for all the agents involved in agribusiness, and that will be fundamental to the construction of “brands” that resist the time. Product is what we do in the industry or on the field; brand is that we built in the mind passionate human. And if the producer is the universe to be reviewed, including the unpredictability of the world cyclical, where a European crisis, for example, we begin to see an contrary exodus: urban abandon the cities and start new businesses in the field; the old “farms” are now seen as sources of quality of life and also, entrepreneurship; If all that is a set of questions that most intrigue the current executives of agribusiness managers, here comes the 7th challenge: Marketing. The good old marketing: agribusiness without marketing is just agriculture, no deal, which means to place the human mind of all the stakeholders at the center of the table of business decisions and of the agribusiness. How much we know of this army of new customers arising from the base of the pyramid planetary? Of these current 7 billion, almost half are new entrants. 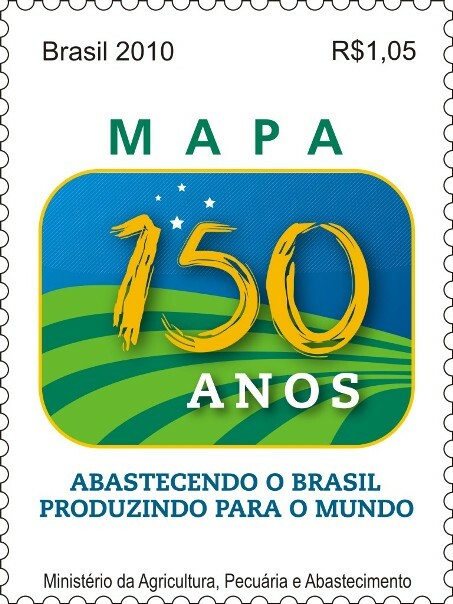 If the pasta, for example, has capillarity and penetration in a 100% of Brazil’s households, and we are the 3rd largest world market on the masses, is now, with the ascension of C class, almost 100 millions of consumers greedy for the consumerist wishes that began to have the penetration of new stuffed pasta. The “spaghetti” to the cannelloni is the journey that is already in fast penetration. And, as in meat, milk, vegetables and fruits, fiber, sugar, cocoa, rice … or rubber trees. Land, people, food and energy, the Kingdom of Avatar, technology, the producer of the future, and the marketing. The synthesis of the 7 challenges of the agribusiness. How will be 2022? 10 years ahead of our time? The dialogue with society is a factor “sine qua non” the part of all agents involved on agribusiness, and build company with a new pedagogical intelligence becomes vital. In the old education we were first driven to think, and then do and if get one day in the life: feeling. The playful expression, modern, begins with the art of to do, in doing feel, feeling we think. This prudence is sacred for not fall in large errors of the decisions of leaders well-intentioned, but who fall in the sin of distractions. The speed changed, is nearly instantaneous, and all of these seven macro challenges of the agribusiness must be packaged for the high speed of a new hybrid: do, feel and think. This entry was posted in Foresight & Future Challenges, Great Thoughts & Ideas. Bookmark the permalink. It is refreshing to hear this kind of discussion. In Africa our resources are used as a political hot potatoe, it is discussed and tossed about as if there are as many hectares as there are dollars…if you run out you just print more. They are really to ignorant to see how things are going to turn out. It is frightening, more and more people are living longer because their lives are improving, but when it comes to producing more food from the land, this does not come into the debate, they have one track minds hell bent on empowering people. There must be more challenges if one looks to a particular piece of geography, all have unique problems. Sure the debate needs to look globally so that we get our priorities right.